Welcome to PRO Rehabilitation, your expert in rehabilitation! 20 Years of Helping People Like You! PRO Rehabilitation Services provides a wide variety of rehabilitation services for patients with orthopedic disorders, post operative trauma, work injuries, sports injuries and other neurologic/neuromuscular conditions. Our mission is to restore or improve the functional capacity of our patients and enable them to return to their optimum health level. 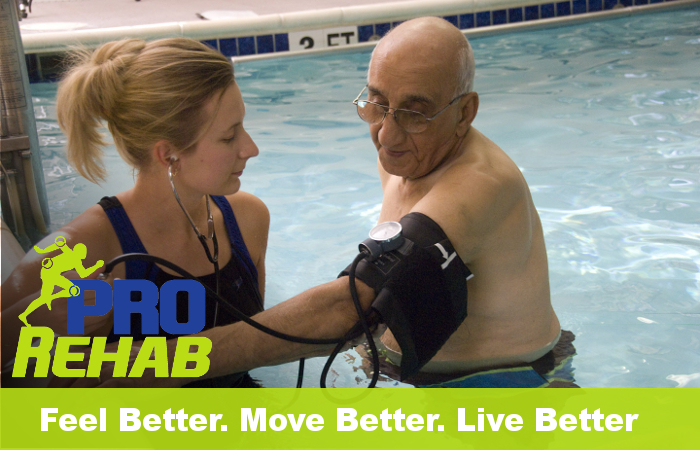 PRO Rehabilitation Services was founded in 1997 as a provider of Physical, Aquatic and Occupational Services in an outpatient setting. In 1998, Sports Medicine programs were added in response to the increasing demand for specialized rehab services. PRO Rehabilitation Services has released a new website to better service our patients. PRO Rehab is a leading provider of rehabilitation services, with a continuing dedication to improving the lives of our patients. We are dedicated to providing individual care to restore Patients to their optimum level of health. "Feel Better. Move Better. Live Better."